My Baker Creek order came in! Looks like I'll be starting seeds this weekend! 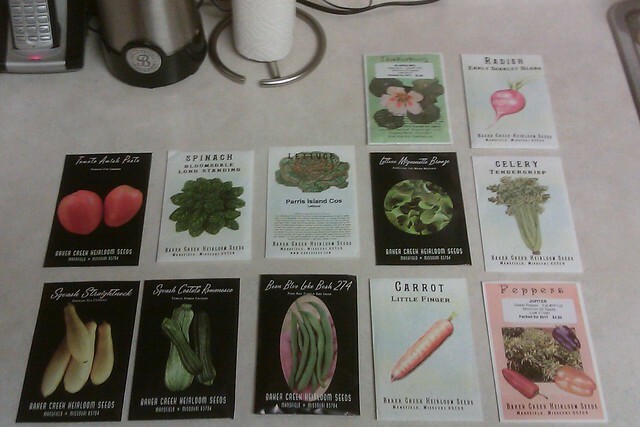 They even threw in a free seed packet like they did last year. This time it was celery. Hmmm.....do I give it a try? I wonder if I can grow it in a container? Any special tricks for peppers? I have NEVER been able to successfully start them from seeds. Also, about how long before you plant in the ground do you start your seeds? I think I started them WAAAAYYY too early last year, or started them in too small containers.